The opening times of the Auschwitz exhibition will change slightly over the festive period to better adapt to the needs of visitors. On 24 and 31 December (the days before the public holidays), the Auschwitz exhibition will be open from 10.00to 18.30(last admission at 15.00). It will then close for the public holidays on 25 December and 1 January. 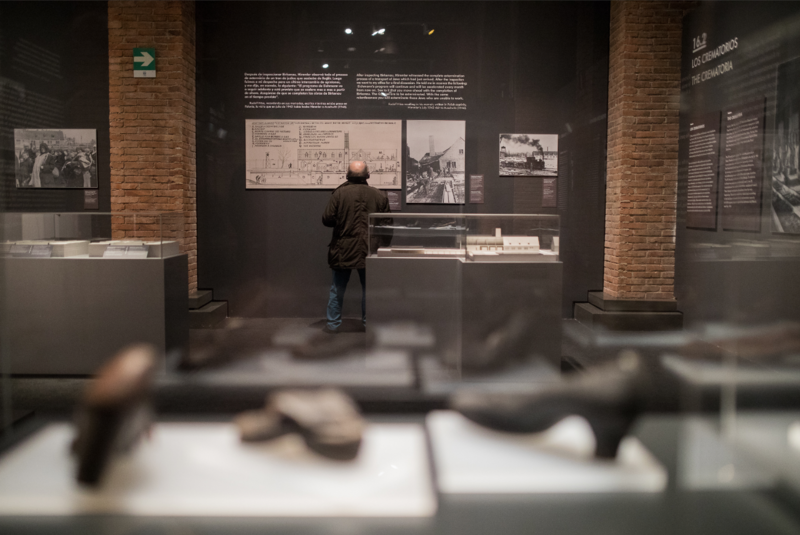 The exhibition will be open as normal from 10.00 to 20.00 without interruption for the rest of the period. We expect an increase in visitor numbers over the coming weeks and strongly recommend you buy your tickets in advance on our website or at the box office at the Arte Canal Exhibition Centre to avoid queues and tickets selling out. The recommended visit time for the exhibition is between two and three hours. It can be visited with or without an audio guide. We recommend using the audio guide for the best possible experience.